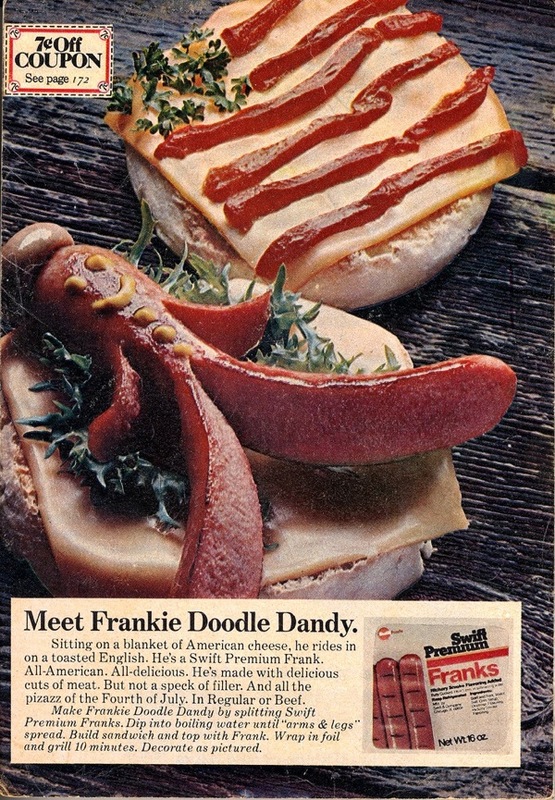 Frankie Doodle Dandy – Hello Adorable! I don’t know what decade this advertisement is from but I’d like to find the worm hole that brings me back to whenever this was an acceptable sandwich. Cute! And… Yum!